For many, motorcycling is the ideal way to explore a new country. No other means of transportation can get you so deeply immersed into the landscapes, the wildlife, and the local culture. Adventure riding on a motorcycle profoundly connects you with your surroundings—the aromas, local color, vistas, road surfaces and weather can’t be ignored. This total enthrallment and connection is what many bikers crave. Ecuador is a South American nation where variety is the norm. It’s also a nation with a rich cultural history, having been one of the first Latin American nations to win independence from Spain, and a place where traditions and customs dating back to the pre-Colombian era are still practiced with reverence in agrarian villages and remote mountain hamlets. 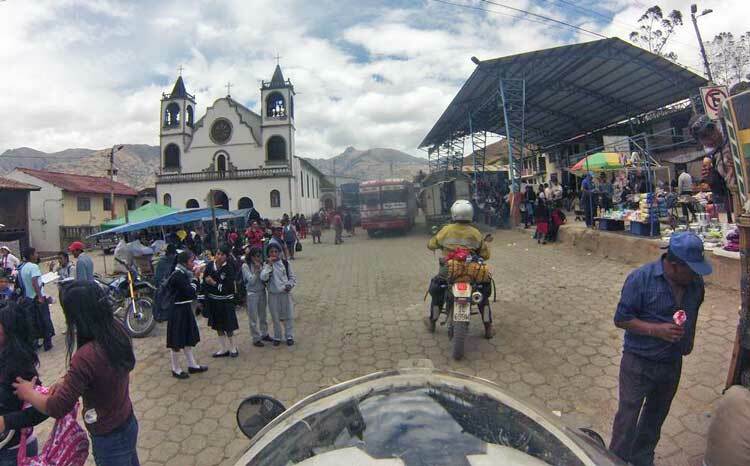 When we ride into a small Andean village on market day, for example, we become part of the scene. We mingle directly with the villagers instead of passively looking through a car window. We are right there with them, outside, where interaction happens with a smile, a question, a comment—and the sense of connection and belonging settles in. 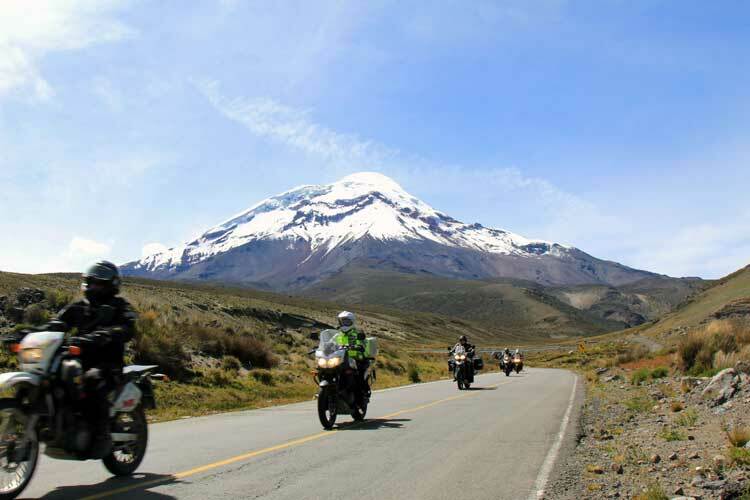 Ecuador Freedom Bike Rentals motorcycle tours bring us to people from many different walks of life, from artisanal brick-makers, to moonshine distillers, to fishermen, to subsistence farmers high in the Andes. It’s the people that we meet on each ride that sets it apart. 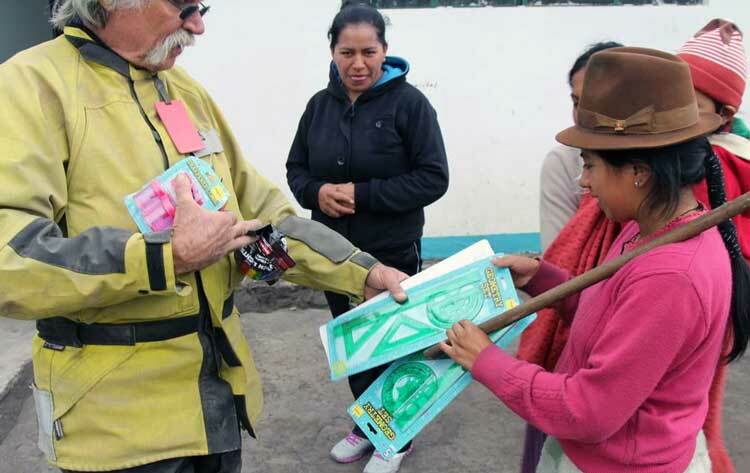 Pack for a Purpose helps us make even more connections with the communities we visit. Pack for a Purpose has transformed each and every one of our motorcycle tours into a “Ride for a Purpose.” It gives all of our riders the opportunity to give back to the communities that make our motorcycle tours so special. We bring school supplies to kids and teachers who are in desperate need. 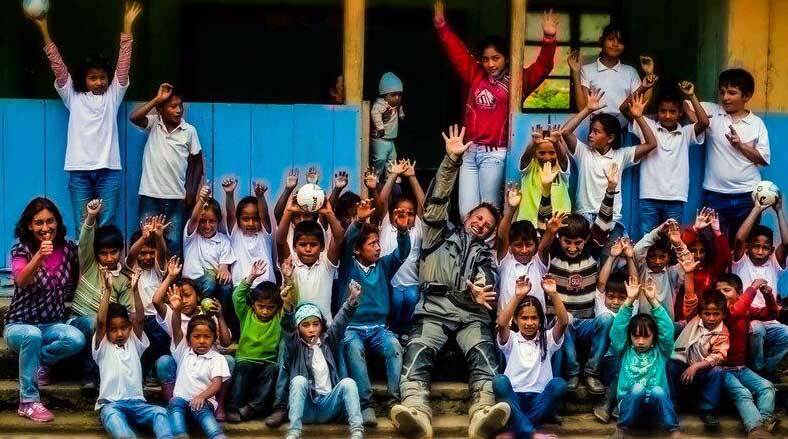 Ecuador’s public school system is free to all children, however the cost of school supplies and uniforms must be paid for by their parents. For many children in the rural, isolated communities that we ride through, their inability to buy supplies often means that parents are forced to decide whether or not to enroll their children in school. Since starting with Pack for a Purpose in August, our customers have brought in over 58 kilograms of school supplies. The participation and support has been amazing! Many of the schools we visit along our tours are located on dirt roads that are hours away from paved roads and cellular phone signals. The schools are simple: one- or two-room schools handling up to 60 kids from the ages of 6 through 13 years old. They can only be reached by off-road capable 4X4 vehicles or with dual-sport motorcycles. In these parts of the country, visitors are extremely rare. Packing for a motorcycle trip takes a lot of planning, especially in a country like Ecuador where we ride in several climatic zones that can change throughout the day. Temperatures can range from 100 degrees on the coast to the low 30s in the higher elevations. On our bikes, we need to carry different layers needed for a sudden change in weather or altitude. In addition, we need to carry tools and supplies in case of an emergency. It all needs to pack neatly into a saddlebag or hard pannier and be carried on our bikes. Knowing what to pack in advance is critical for a smooth trip.